Is there a better alternative to Kokono? Is Kokono really the best app in Card and Board category? Will Kokono work good on macOS 10.13.4? 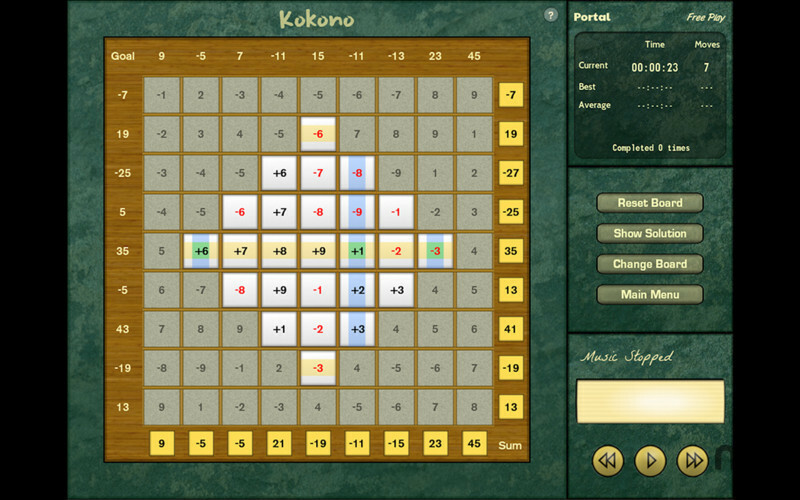 Kokono is a math-based puzzle game. Kokono needs a review. Be the first to review this app and get the discussion started! Kokono needs a rating. Be the first to rate this app and get the discussion started! The board contains 81 tiles (9 rows and 9 columns). Click on tiles to change their sign, thus altering the sum of their rows and columns. When the sum equals the goal (your target), the row or column is solved. Solve every row and column to clear board. Keep clearing boards to unlock additional game content (new boards, new themes, new game modes, etc).